I'm saddened to report the death of Professor Keith Jeffrey, the distinguished historian, chronicler of Irish and military History. 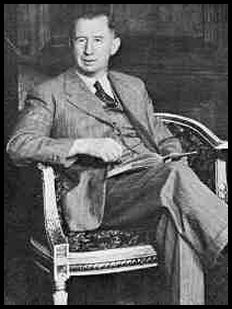 Those who attended the Centennial in Albuquerque will remember him giving his most interesting talk entitled "Nevil Shute and Ireland". I never had the pleasure of meeting him, but we corresponded briefly when I was writing Parallel Motion. I obtained a copy of his book "The Sinn Fein rebellion as they saw it" which contains a reprint of Mary Norway's letters written at the time, together with Arthur Hamilton Norway's memoir "Irish Experiences in War" about the Easter Rebellion. This memoir had never been published before. Prof. Jeffrey had a distinguished career as an historian at Queen's University, Belfast. He published a number of books both on Irish and military history, including a history of the British Intelligence Service MI6. It is perhaps ironic that he died at the time when the centenary of the Easter Rising is being commemorated. While traveling by air on business in the early 90’s, I met a gentleman who was quite well known as a national level US radio journalist. I can’t recall his name now, and perhaps it is just as well. We fell into a conversation regarding the works of Nevil Shute, and he told me that he had read, among other NSN books, The Purple Plain. Although I was not familiar with the work at the time, I assured him that Nevil had not written that book. We made a gentleman’s $5.00 bet on that, to be resolved as soon as one of us proved his point. Shortly thereafter, I received a cheek from him for $5.00. I have since obtained a DVD of the film by the same name, based on the book by H. E. Bates. A similar thing happened with The Shepherd, by Frederick Forsythe. Shortly after we started the NSN Website, we were contacted by a gentleman who insisted that we had omitted that work by NSN. Fortunately, I am also a Forsythe fan, and knew the correct attribution. Unfortunately, no wager was made, so no money changed hands. In both cases, the stories could have well been written by Nevil. A third tale, not written by NSN, but that could well have been, is The Worlds Fastest Indian. It is an excellent film starring Anthony Hopkins, based on the adventures of Burt Monro, a New Zealander motorcycle enthusiast. It is a real life tale, but very similar to Trustee from the Toolroom. This is so incredibly beyond belief!!! What a treasure……..
Phil Warren, from the UK, spent 62 years to build this incredible fleet of 432 ships. All vessels are built entirely of matchsticks and boxes of wooden matches. The collection includes nearly 370 American and 60 British ships. Although now 84 years of age, Mr. Warren began creating his first boat in 1948, when he was only 17. He uses a razor blade, tweezers and sandpaper to carve the pieces and boxes, then sticks them together with balsa wood glue. In total, more than 650,000 matchsticks were used to create an amazing collection of 1:300 scale models. His 1,200 aircraft make an even more realistic appearance to dress the decks of aircraft carriers. However, I am surprised they would be allowed to fly so close to each other. How cool is this? Can you imagine all the passengers in that plane all heading to that side to witness this! When passengers boarded this plane bound for San Francisco, they never could've guessed what they would encounter near the tail-end of the flight. During the flight, just off the left wing - as visible in the video - there emerges a totally futuristic aircraft. What was it? Virgin Galactic's brand new SpaceShipTwo and its mothership plane, the White Knight II. Even more impressive, the aptly named SpaceShipTwo (it literally goes into space) executed a parallel landing with the commercial airliner. Archeologists have found what appears to be a new Viking settlement on the Southwest edge of Newfoundland. This would be a much more hospitable place than the first finding at L’anse Aux Meadows. The newsletter is very late this month, I’m sorry about that, but I have a reason. As some of you know, I have been retired since 2 years. But I have just started in a new job, and had to take some exams, to be allowed to do so. I’m a driver now on a 9 person mini-bus, for an organization that cares for mentally disabled people. It’s a very rewarding job, and I love it. From then Netherlands, see you next month.